Yee-haw! A&E has ordered eight one-hour episodes of a new reality TV show, Rodeo Girls. The series will follow the lives of women on the professional rodeo circuit. Pasadena, CA – January 4, 2013 – A&E Network has lassoed its newest original real life series “Rodeo Girls” (working title) from The Weinstein Company. Pre-production has commenced on the network’s eight one-hour episode order. The announcement was made today by David McKillop, Executive Vice President of Programming for A&E Network and BIO Channel. “Rodeo Girls” goes behind the scenes and offers a glimpse into the lavish and glamorous world of the women of the pro rodeo circuit. Proving that these competitions are more than just cowboy boots, chaps and spurs, these prominent and privileged rodeo queens are the exception to the rule. Made up of equal parts rhinestones and blue jeans, the ladies of the rodeo work hard, ride fast and play rough. As they travel around the country competing in their sport, these women are fueled by motivation to win, bringing their colorful attitudes with them. Hailing from backgrounds as diverse as their credit card purchases, these women are in the center of it all and have the big rigs to prove it. Whether coming from million dollar mansions, carpools and inheritances, or working nights to make ends meet, the fierce opponents give it their all as they compete each weekend. All cattiness and drama aside, these tough cowgirls will stop at nothing to fulfill their dreams of being crowned national champion. Of course when everyone is chasing the same goal, there is plenty of backstabbing to go around… not to mention plenty of cowboys! “Rodeo Girls” is executive produced by Meryl Poster, Barbara Schneeweiss, Roe Baker and Darcy Lapier for The Weinstein Company and Stephen Land for Jupiter Entertainment. 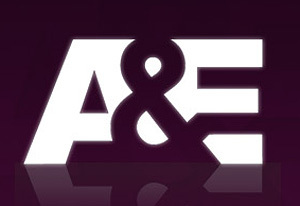 Executive producers for A&E are David McKillop, Elaine Frontain Bryant, Lily Neumeyer and Devon Graham. The Weinstein Company (TWC) is a multimedia production and distribution company launched in October 2005 by Bob and Harvey Weinstein, the brothers who founded Miramax Films in 1979. TWC is active in television production, led by former Miramax Films President of Production Meryl Poster, who returned to the company in 2010 as President of Television. TWC is the studio behind such hit television series as the Emmy(R) nominated and Peabody Award winning reality series “Project Runway” and its spin-off series “Project Runway All Stars” and “Project Accessory;” the VH1 reality series “Mob Wives” and its spin-off series “Mob Wives Chicago” and “Big Ang;” and the critically acclaimed HBO comedy/crime series “The No. 1 Ladies’ Detective Agency” which also received a Peabody Award. The company is in production on the upcoming TLC series “Trailer Park Lives” and the Lifetime reality competition show “Supermarket Superstar” hosted by Stacy Keibler. TWC’s other projects in development include the martial-arts epic “Marco Polo” for Starz, an untitled private eye procedural for FX, and “The Nanny Diaries” developed by ABC with a pilot by Amy Sherman Palladino. What do you think? Does this new show sound interesting? More about: Rodeo Girls, Rodeo Girls: canceled or renewed? I love the show!! I would watch it all of the time. Please bring the show back. Please bring the show back, my daughter and i really enjoyed watching the show together. We were really starting to get into 7t, and we were realky looking forward to the next season…. Please, please, PLEASE bring Rodeo Girls back for 2015!!!! Why did they even cancel the show?! It was my favorite!!! Plz bring them back! I just stated barrel racing and now it would be a whole lot more exciting then the last seaosn. This show was my favorite tv show!